Love looking at the sky. There is always something happening and I am yet to see a repeat. 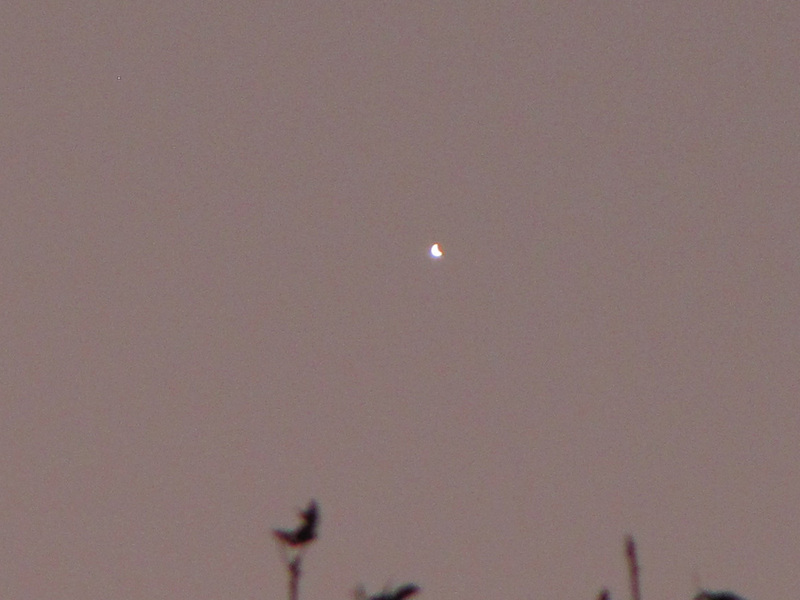 Back in May, Venus was quite bright in the western sky following sunset. I grabbed my Canon SX20 camera (with its amazing 20x optical zoom), set the focus to infinity and took a few photographs. I like the challenge of photographing distant objects with a camera that really was not designed for stellar photography. Basically, it is fun. 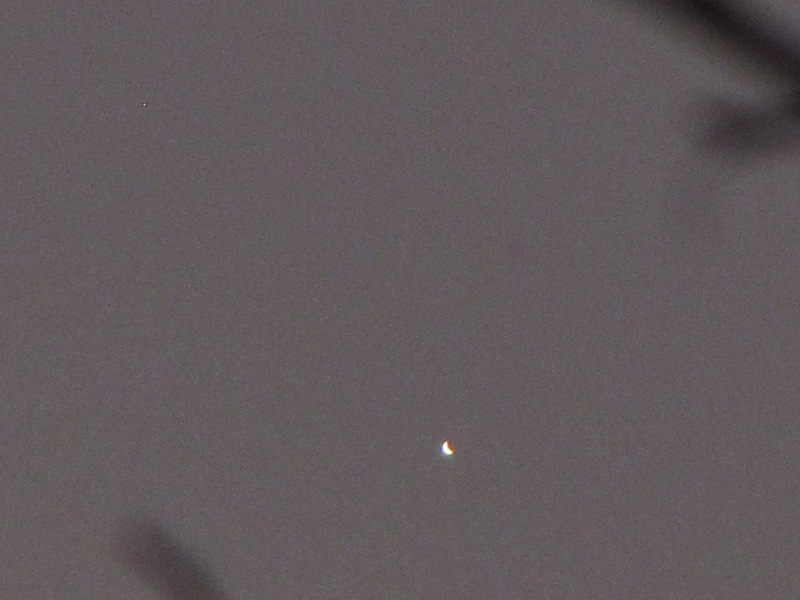 Venus is not that sharp when you zoom in yet you do get the sense that it is only partially visible due to its position in relation to its orbit around the sun. I think it is quite amazing that one can actually see this characteristic of the planet. 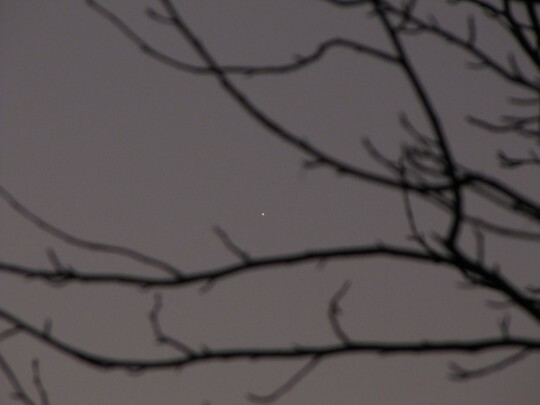 I have posted two photographs that display the planet Venus as it was photographed… a small diamond in the darkening sky. I have also zoomed in on each image with a simple crop in Photoshop Elements. 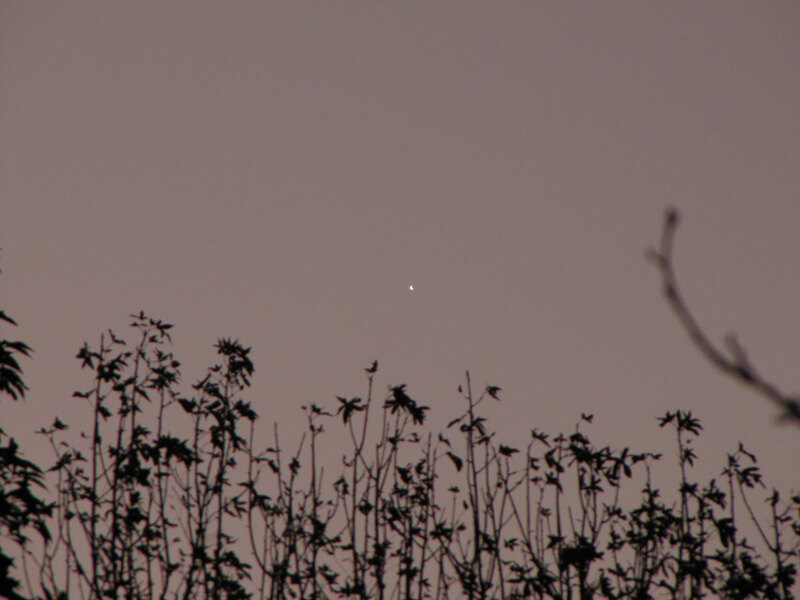 You can see that the planet is partially lit by the sun, very much like the moon. I have not adjusted the light, levels or exposure in Photoshop. If you view each of the “zoom” images at 1200 x 900 pixels you will spot another stellar object in the upper left hand corner. Not too sure which star it is other than it is possibly a star in the Tauras constellation which is located, in terms of visibility, near the Crab Nebula. 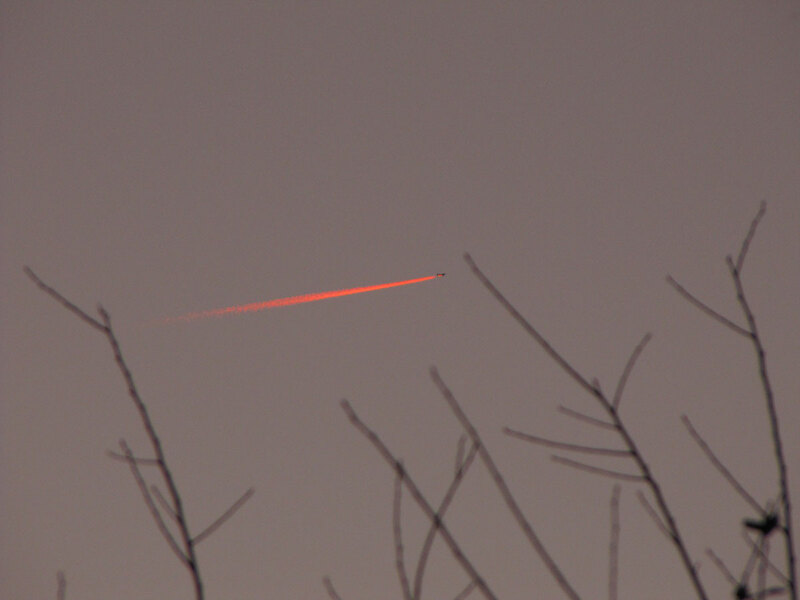 As I was taking the photographs a distant jet fly across the western sky, its contrail lit by the setting sun. I grabbed a few shots of the jet, looking very much like a rocket screaming across the heavens. 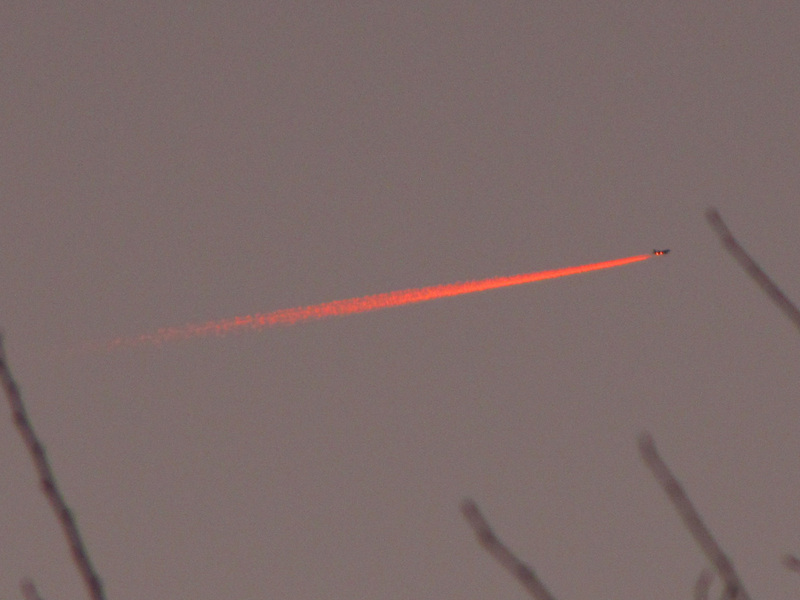 I added a one shot of the jet as it was visible and a second of the same photograph where I have zoomed in with the help of a crop.